IIT – Indian Institute of Technology is one of the premium Indian educational institutions. Only the best of the students graduating from high school get into it after rigorous screening. 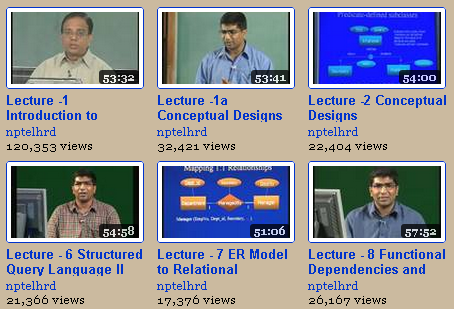 I went to school right across from IIT Chennai and always wondered what it would be attend classes there. 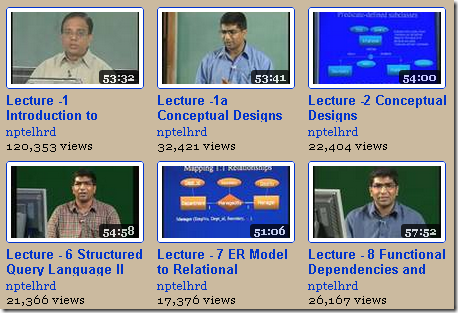 Now, thanks to a program called National Programme on Technology Enhanced Learning, we have access to hundreds of lectures from the 7 IITs on various subjects for free in YouTube.